Today’s post was written by Mike Meadows, vice president and chief technology officer at Eli Lilly and Company. 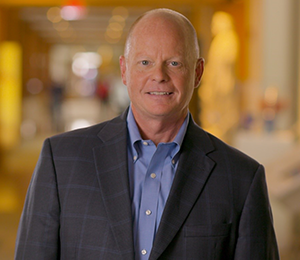 We have an expression at Lilly that inspires our workforce every day: the patient is waiting. This mindset informs our culture, encourages us to work faster, and helps us deliver on the promise to make life better for patients everywhere. It’s behind everything we do at Lilly—from chasing a molecule in a lab to developing new ways to engage with patients, and even troubleshooting a server or network issue. Our challenge continues to be the discovery of new therapies and accelerating their time-to-market. The process is too slow—and while clearly difficult and complex, our ability to get faster is key. We need to forge new partnerships, comply with a complex regulatory environment, keep quality and safety at the forefront, and reduce costs. All of these seemingly conflicting elements put significant pressure on how we fulfill our promise. Lilly is responding to these challenges with new thinking across our business process cycle. Through discovery research, product development, manufacturing, and customer engagement, we are working on next-generation capabilities to improve our speed and productivity. Our workplace environment, and how we interact with one another, is certainly not exempt from such transformation, and in part will be supported by Microsoft 365 cloud technologies. We could see that Microsoft has made great strides in its own transformation to better meet customer needs, and that certainly played a role in our interest in Microsoft technologies for our own workplace transformation goals. Fostering seamless collaboration and creative teamwork globally is key as we need different ideas to come together to generate new capabilities and products. That’s basically the definition of innovation, and innovation is our lifeblood. With facilities around the world in research and development (R&D), manufacturing, and administrative services, our ability to collaborate across diverse cultures, ways of thinking, and languages has a huge impact on accelerating our product innovation workstreams and our promise to patients. We’ve been using Microsoft Exchange Online and Office apps for years, but the enhanced interoperation between tools like Microsoft Teams and innovative devices such as Surface Hub and HoloLens has the potential to take collaboration to the next level. In discovery research today, we have two primary working environments: the laboratory, where scientists in lab coats conduct their experiments in isolation from their colleagues; and the traditional office space occupied by administration and leadership. Not much collaboration happens in real time between these environments. If a scientist has a brilliant idea in the lab, to act on it or share it with colleagues requires them to stop what they’re doing, take off their gear, and return to the office to phone or email someone. We envision dissolving these physical barriers through something we call “in-lab collaboration”—putting communication and collaboration tools inside our labs that empower scientists to share a creative spark with other scientists across the globe, or with the clinical development manager just upstairs. Using Surface Hubs to whiteboard ideas, making Office 365 video calls, and chatting in real-time through Teams foster innovation at scale and can help ensure that great ideas don’t get lost. In today’s healthcare environment, we’re working more and more with innovators outside the company itself. We’re looking at new scenarios where Lilly might run experiments in a cost-effective arrangement called “lab-as-a-service,” where we can quickly and seamlessly leverage specialty labs in a lease-like manner from partners as needed, thus expediting R&D. Increasingly, as we follow the science to new experimental designs and new therapeutic technologies (CAR T-cell therapy, cancer vaccines, digital therapeutics, etc. ), we are less focused on building durable, static labs. Instead, dynamically accessing elastic lab capabilities will empower our evolving R&D strategy. Our new cloud-based collaboration solutions will go a long way toward supporting virtual teamwork with providers outside our walls. When we collaborate efficiently, it drives productivity by helping us to work faster. One of the most significant benefits of working faster at Lilly will revolve around effectively changing our workplace processes to use Teams day to day throughout the enterprise. We are conducting approximately 300 Teams pilot projects around the world within IT, research, and marketing departments. When communication channels are oriented to particular project workflows, documents are all in one place. We can add creative flows with team members around the world, opening up collaborative possibilities at Lilly. Teams also facilitates coauthoring—a significant benefit given the abundance of documentation this industry requires. Whenever we can spend less time redlining and passing around versions among people, there will be an efficiency gain in running the business. As a technologist, I’m always seeking these opportunities for positive change in our work habits. Looking back to when we deployed Exchange Online, we migrated over 70,000 mailboxes for our employees and collaborators in less than nine months with a seamless transition—which also provided them with nearly unlimited storage to improve their work lives. I think we can generate more successes like that with Microsoft 365. We expect that Windows 10, with its ongoing updates and new capabilities, will be a case in point. Additionally, the AI capabilities that are built into Office 365, even for something as routine as automating how we schedule meetings, could be a boon to our culture. And when it comes to regulatory compliance and security, I have believed for years that we have the opportunity to be more compliant and secure in the cloud, rather than less. The capabilities we see in the Microsoft Cloud environment are the latest confirmation of these instincts. Complying with the regulatory requirements in the life science industry is always a given at Lilly, but Microsoft 365 security features help improve how we meet data privacy and quality requirements. “Security and quality by design” is one of our IT strategy principles, and the Microsoft Cloud is clearly aligned. A few years ago, Lilly went through a significant period of patent expiration that challenged our business like never before. Our CEO at the time inspired us to double down on innovation, and today we have a strong pipeline of new molecules to help deliver on our purpose. Our current CEO is inspiring an increased sense of teamwork, speed, and productivity. Using services within Microsoft 365 is one component of that drive and will help put us in an even better position to continue the innovation required to deliver on our promise to patients everywhere.